Deontay Wilder is "very interested" in a blockbuster world title fight with Anthony Joshua, says the WBC champion's co-manager Shelly Finkel. 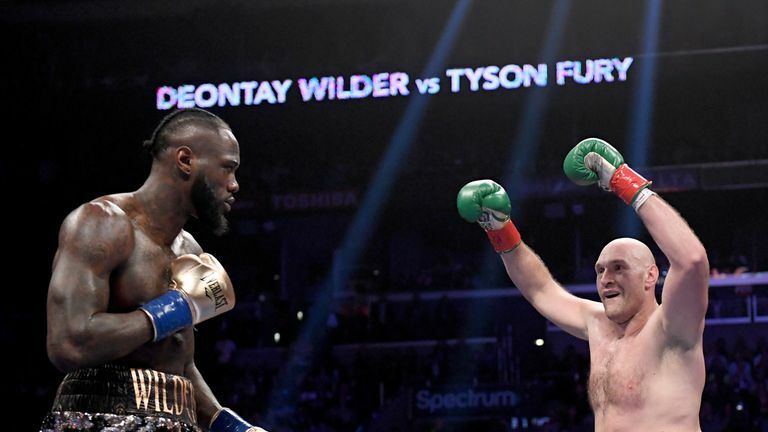 Wilder retained his WBC heavyweight title following a split decision draw with Tyson Fury in Los Angeles at the weekend, and the American's team will now discuss options for his next fight, including a battle with Joshua for the right to become the division's undisputed champion. Negotiations for a fight between Wilder and Joshua, the WBA 'super' IBF and WBO champion, broke down earlier this year, but Finkel is willing to resume, provided that details of his talks with Matchroom Boxing boss Eddie Hearn remain private. "We're very interested in the fight," Finkel exclusively told Sky Sports. "If he wants to be professional and keep it in a private discussion, I'm open to it. "If everything is in the paper, I have no desire to discuss anything, and let him go fight who he wants." Asked about a Joshua-Wilder fight, Hearn told Sky Sports: "Let's see what happens." Book Whyte vs Chisora now!